As a key partner to the constructional steelwork sector across the UK, Barrett Steel prides itself on possessing not only the size and scope but also the reliability and innovation required to make it a versatile provider to the industry. Holding over 110,000t of stock in situ across 27 depots around the UK allows for continued excellence in customer service and support. Barrett Steel’s extensive depot network not only makes them one of the UK’s largest independent steel stockholders but, according to Barrett’s construction customers, also provides them with supply security due to the range and depth of Barrett’s stock at a time when forward availability can be uncertain. As a key market to Barrett Steel, the construction sector is mainly supplied from the group’s largest division, General Steels. The group itself is divided into four divisions: General Steels, Engineering Steels, Tubes, as well as the International division, which all satisfy a range of markets. 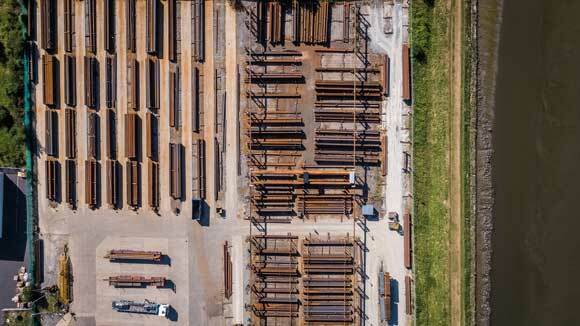 As part of the General Steels division, Barrett Constructional Steel (based out of Barrett’s Bradford head office) focuses exclusively on larger steelwork contractors, who are likely to have unique and challenging requirements due to the large size and complexity of the projects they work on. The General Steels division provides all the steel elements needed to create modern structures, including heavy structural sections, steel plate, tubular sections, light sections, flats and angles. Continuous investment in quality and productivity enhancing state-of-the-art equipment continues for the group in 2018/2019 with long-term plans for the installation of new lasers, saws and a new shot blast, prime and painter, which are traditionally the services delivered by steelwork contractors. But far from this creating a conflict of interest, steelwork contractors now value the option of having routine operations using this equipment carried out by stockholders. This investment in processing within stockholding allows contractors to focus on the design, more challenging fabrication operations and the erection processes. 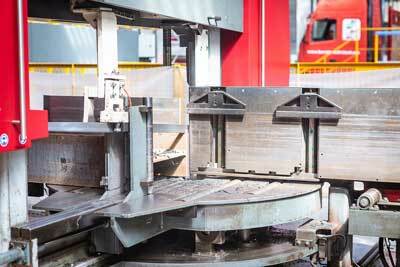 An example of Barrett’s continuous investment to support its construction customers’ ever changing needs is demonstrated clearly at one of Barrett’s key processing depots in the West Midlands, CMT Steel Services, which will see investment in a new automated saw. The investment in this project alone is projected to reach around a quarter of a million pounds allowing Barrett’s to reduce lead times further and increase capacity for their ever-growing customer base across the UK – with all these considered it’s easy to see why this is such an important step forward for the company. Similarly, 2019 will see further investment in a new shot blast, prime and paint line for Barrett’s headquarters in Bradford, home to Barrett Steel Services (the group’s founding depot) as well as its Barrett Construction team. Aside from Barrett’s investment in the latest processing technology, operationally it has begun a roll-out of electric side loaders across many of the group’s processing depots. An investment of over half a million pounds has proven a great success, with the new environmentally-friendly fleet now being able to operate without noise or emissions. The breadth of Barrett Steel’s processing capabilities also helps the company to stand out from the crowd. Its sites in Bradford, Scunthorpe (Omega) and Cradley Heath (CMT) all carry an advanced range of processing capabilities, and this is backed up by its modern Maghaberry processing centre in Northern Ireland which already boasts a state-of-the-art shot blast prime and paint line alongside a new Voortman cut and drill line. Barrett’s investment in service continues across all its divisions and its Tubes division has acquired a new Adije laser, soon to be installed in its Dudley facility. It has also further enhanced its range of processing capabilities with the purchase of a new profile library for its range of 11 tube laser machines. These additions will allow Barretts to laser a wider range of hollow section for a variety of construction industry applications more efficiently, ensuring customers can maintain throughput production speeds and critical site dates. Tony Corrie, Sales Director for Barrett Constructional Steel Scotland, came across a prime example of these benefits with a customer just the other day: “We are consistently seeing examples of where our investment in processing has meant that our customers can increase the volumes they fabricate through their workshops each week. The experience entwined in the Barrett Steel operation means not only does the group have the scope to supply a wide variety of stock and processed products, but additionally its long-established supply chain relationships pass on an enormous amount of benefits to the customer. Whether it’s sourcing different types of stock, such as non-standard specification for the nuclear construction sector, or by reducing costs for end-users thanks to single-source operation, its supply chain allows reduction in costs and transport requirements across the board. The UK construction industry has experienced some uncertain times recently as construction output fell by 0.8% in the first quarter of 2018, but thankfully this is now showing an output increase of 0.9% in the second quarter according to the latest data from the Office for National Statistics. 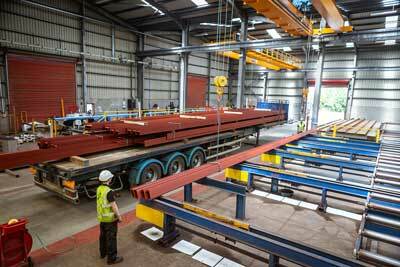 What is for certain though is Barrett Steel’s team of experts can boast significant levels of technical knowledge. This level of knowledge and understanding of the sectors they are servicing allows them not only to create tailored solution-based offerings to assist their customers with the ever-changing challenges they face, but backs that up with the investment in stock, transport and the processing capabilities required to cater perfectly to the construction industry for many generations to come.